Do you have photos, historical accounts or other items pertaining to the Mountain Iron area? Would you like to share this historical information with the world? LakesnWoods.com would like to publish your Mountain Iron photos (current or historical) or historical accounts on this website. Original materials can be returned and your privacy will be respected. As its name suggests, the City of Mountain Iron was literally built on a mountain of iron. It was here, in 1890, that Leonidas Merritt first discovered iron ore, launching the mining era that uncovered the fabulous wealth beneath the Mesabi Range. Today, a two-and-a-half ton, 10-foot high statue of Merritt stands in the heart of the city. A 1910 Baldwin locomotive, class S-4 Switcher, is also located in the downtown district. Situated at the crossroads of Highways 53 and 169, Mountain Iron is Minnesota's third largest city in geographic size, covering 52 square miles and boasting six lakes within its limits. Visitors can get a birds-eye view of USS/Minntac's taconite mining operations at either the Wacootah Overlook or the Minntac Mine Overlook. In August, the city hosts the annual "Leonidas Merritt Days Festival" to celebrate the area's tradition of mining, with activities for the entire family to enjoy. 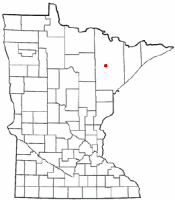 Mountain Iron is a city in St. Louis County, Minnesota, in the heart of the Mesabi Iron Range. U.S. Highway 169 serves as a main arterial route in the city. According to the United States Census Bureau, the city has a total area of 71.31 square miles (184.69 km²), of which, 68.52 square miles (177.47 km²) of it is land and 2.79 square miles (7.23 km²) of it is water. The elevation is 1,486 ft (453 m) above sea level. As of the census of 2010, there were 2,869 people, 1,336 households, and 796 families residing in the city. The population density was 41.9 inhabitants per square mile (16.2 /km2). There were 1,442 housing units at an average density of 21.0 per square mile (8.1 /km2). The racial makeup of the city was 96.8% White, 0.3% African American, 0.7% Native American, 0.2% Asian, and 2.0% from two or more races. Hispanic or Latino of any race were 0.6% of the population. There were 1,336 households of which 24.8% had children under the age of 18 living with them, 44.7% were married couples living together, 10.3% had a female householder with no husband present, 4.6% had a male householder with no wife present, and 40.4% were non-families. 35.9% of all households were made up of individuals and 14.4% had someone living alone who was 65 years of age or older. The average household size was 2.14 and the average family size was 2.72. The median age in the city was 45.4 years. 20.7% of residents were under the age of 18; 7.2% were between the ages of 18 and 24; 21.8% were from 25 to 44; 33% were from 45 to 64; and 17.4% were 65 years of age or older. The gender makeup of the city was 49.8% male and 50.2% female. 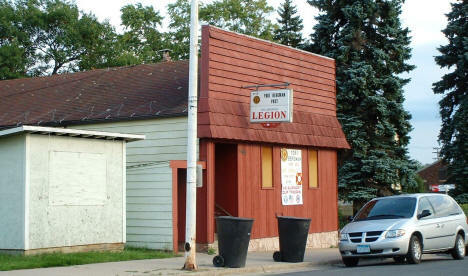 Mountain Iron, a city in Nichols Township (T. 58N, R. 18W), first settled in the spring of 1892, was incorporated as a village on November 28, 1892, separated from the township on May 16, 1908, and reincorporated on June 20, 1913. Its name is from the Mountain Iron Mine, the earliest to ship ore from the Mesabi Range, in August 1892. 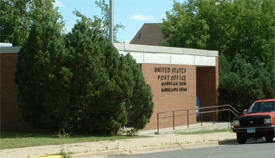 The post office began as Marfield in 1892, with Roscoe Merritt as postmaster, changed to Mount Iron in 1894, and to Mountain Iron in 1913; it had a Duluth, Missabe and Iron Range Railroad station in section 3. Councilor 12/31/2020 Joe Prebeg, Jr.
Fairview Mesaba Clinic-Mountain Iron offers a team of dedicated physicians focused on improving the health of our communities. The family physicians at Fairview Mesaba Clinic-Mountain Iron are your connection to complete family health care. They have special skills in family medicine, obstetrics, gynecology, acupuncture, pediatrics, geriatrics, Urology and Orthopedic Surgery and Sports Medicine. Adventures Restaurant and Pub mixes great American classics with a touch of the wild. Two stone fireplaces and a starlit ceiling make this woodsy atmosphere cozy and comfortable for it's guests. Adventures is also know for it's famous 2 for 1 Happy Hour Monday through Friday. 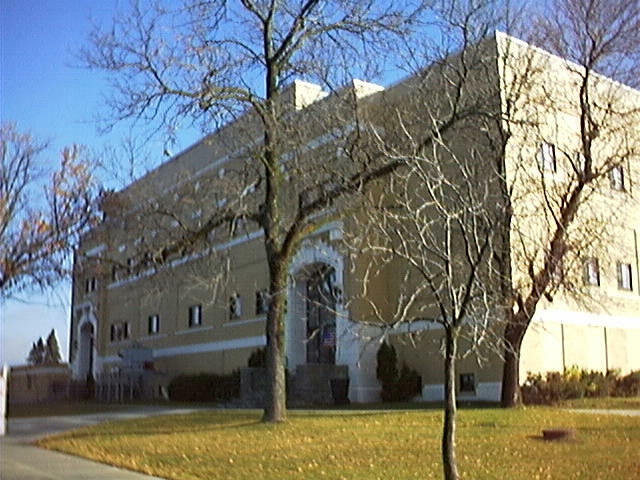 American Bank of the North is privately held and is a subsidiary of Mesaba Bancshares, a multi-bank holding company. 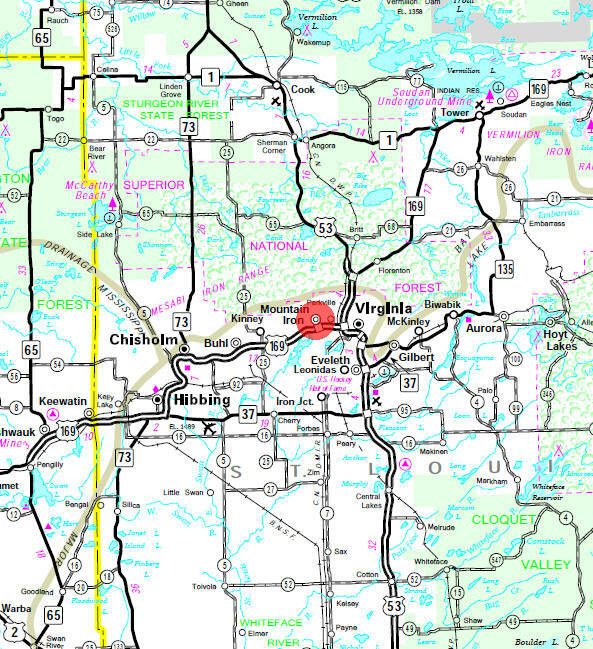 The total operations has 12 branch offices and 2 administrative offices in Northeastern Minnesota. Arrowhead Library System enhances the value of all types of libraries to their communities by cultivating collaboration, technological innovation, and professional development; and enriches the quality of life by providing direct services for those without a public library and access to electronic resources for all people in northeastern Minnesota. We are a locally owned and operated Civil engineering and land surveying firm in northern Minnesota. All of our personnel are local residents and their livelihood is dependent on providing high quality consultant engineering and land surveying services to local government agencies, local industries and citizens. CARQUEST Auto Parts is owned and operated by Advance Auto Parts, Inc., the largest automotive aftermarket parts provider in North America, servicing both the do-it-yourself and professional installer markets. CEC Theatres currently operates over 150 screens in Minnesota, Iowa, Wisconsin and Nebraska. With company headquarters still located in St. Cloud, MN, CEC Theatres remains a family-owned company with a commitment to bringing state-of-the-art theatre facilities to the communities it serves. Named to reflect the mining heritage within the community, Wacoutah Suites opened in October 2006 and Leonidas Suites opened in February 2007. A beautiful family/sun room connects the two homes, which are located in a residential area. Fairview Mesaba Clinics - Mountain Iron understands the health care needs of area residents. Providing high quality health care for the entire family from newborn to geriatric - our team of physicians offer a full range of primary and specialty care. K & K Cleaning Inc has been offering cleaning services in Mountain Iron, MN based on integrity, excellence, and trust for 29 years now. We take pride of the quality of our services that allowed us to stay in the business for more than two decades and counting. Mark S Wilcox Computer Services, Inc. in Mountain Iron, MN is a one stop shop for all your computer needs. We have received top certifications in the industry, and we make sure that we bring quality new computers for individual needs. U. S. Steel’s Minnesota Ore Operations, located on the Mesabi Iron Range in northern Minnesota, is composed of two facilities: Minntac in Mt. Iron and Keetac in Keewatin. At these facilities, iron-bearing rock called taconite is mined and processed into iron ore pellets for use in U. S. Steel’s steelmaking facilities. Annual production capability at Minntac is approximately 16 million net tons of pellets, while Keetac can produce approximately six million net tons of pellets each year. Established by the legislature in 1976 as a nonprofit public corporation, the Northeast Service Cooperative has met the needs of its regional membership for more than twenty-five years. Today, the Northeast Service Cooperative serves 32 school districts and 79 cities, counties and other governmental agencies throughout Northeast Minnesota. Silicon Energy is a business out to make a difference. We've already made progress by bringing to market a durable solar module "unmatched in its lifespan" that's made in the US.